Product #353 | SKU 2-057-0001 | 0.0 (no ratings yet) Thanks for your rating! The Redrock Micro microLink4 Flat is designed for use with 15 mm rod/rail support rigs such as the microShoulderMount or eyeSpy DSLR rig. 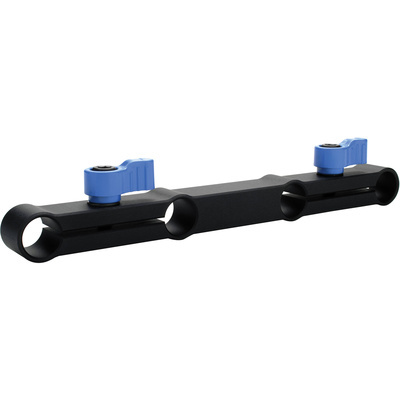 It allows four 15 mm rods to be connected parallel to each other at standard 60 mm spacing. This is useful when needing to position the camera to one side or the other--for example, a DSLR with a battery grip or other accessory that might obstruct movement or proper handling.